As we age, gravity gets the better of us. 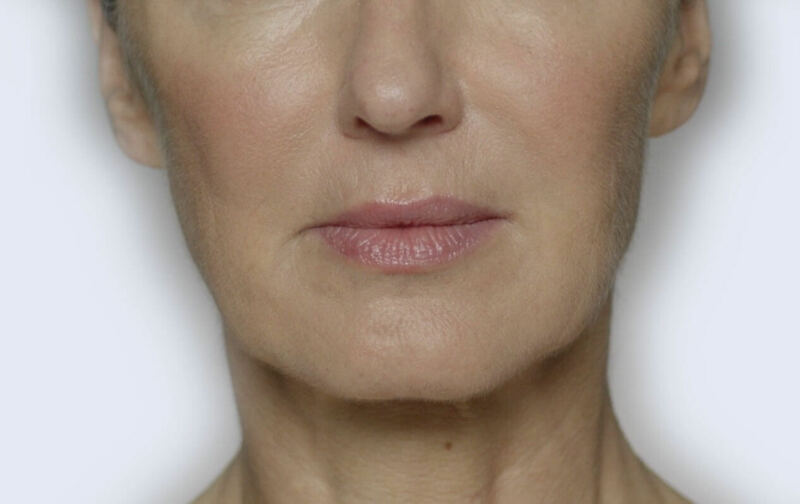 Gravity, when combined with sun damage and heredity stimulates a gradual descent of the skin, muscle and fat of the face, leading to folds around the mouth (laugh lines), jowls and marionette lines, and a loss of volume sometimes described as a gaunt appearance in its extreme. Fillers can help to correct this and restore a more youthful appearance. Facial wrinkles and creases are part of the natural aging process. These changes in our appearance occur as the collagen and elastic fibers in our skin begin to wear out. Fittingly, our first fillers were made from collagen, a protein naturally found in the skin of all mammals. These fillers created excellent results lasting a few months. The original collagen products have been replaced with better, longer lasting products that have a great deal of versatility. Fillers such as Restylane are non-animal derived, biodegradable gels that are used to add fullness to your face and improve the signs of aging. Fillers are injected under the dermis layer of the skin to correct wrinkles and fine lines and to add fullness to areas of the face such as the lips, cheeks and forehead. The most common filler used is one containing HA’s or Hyaluronic Acids, which are natural sugars (polysaccharides) found in the body. The fillers vary in their composition and density which helps to determine the areas they are best suited for. The aging process is caused by multiple factors including gravity, genetics and sun exposure. There is a loss of facial fat, thinning of the skin, loss of fullness and elasticity followed by a change in the appearance of our complexion typically associated with dry skin. There is a reduction in the natural amount of HA in the tissue which results in a loss of moisture. Early changes are seen around the mouth and chin followed by the cheeks. These areas respond well to Restylane. Some of these areas were previously hard to treat due to increased muscle activity and are responding well to more flexible fillers such as Restylane Refyne and Defyne allowing for a natural show of expressions. Fillers have a long track record of safety. Side effects are uncommon and are short lived, improving spontaneously. They may include redness, swelling, bruising and tenderness in the areas treated. These cannot be predicted and do benefit from the application of ice packs after the procedure is completed. You can return to work and regular activities shortly after the procedure. What can I expect during my Restylane treatment? Dr. Friedlander will review the areas to be treated with you. She will discuss the benefits of your treatment and the differences between the fillers that are available. Certain fillers are better suited to correct age related lines and wrinkles than others. The actual treatment takes only a short while, and you will see an immediate improvement. Ice packs applied before and after the injection help to reduce swelling. All fillers contain lidocaine, a local anesthetic which numb the area as the injections are given. If you are concerned about discomfort, a topical anesthetic can be provided. What are the types of Restylane? Restylane®, like Juvederm® is a natural product intended to improve the signs of facial aging. It can be used in the same areas as Juvederm®. It too, contains lidocaine, a topical anesthetic, rendering the treatment virtually painless. Like Juvederm®, Restylane® comes in several formulations which are used for different purposes. Restylane® is a crystal clear gel formulation that can be used to restore fullness to multiple regions of the face. In 2003, Restylane became the first HA on the market to be FDA approved for correction of moderate to severe facial lines associated with aging such as the nasolabial folds, or the smile lines that run from the nose toward the corners of the mouth. Its indications have since been expanded to include the marionette area or the lines that run from the corners of the mouth to the jaw, the lip and the lip (smoker’s) lines. It is ideal for the hollow region below the eye (orbital rim) since it maintains its stability and does not absorb large amounts of water causing swelling. Restylane is a medium thickness HA which offers versatility in improving visible signs of aging. Its restores volume which becomes depleted with age, hydrating the skin and creating softer more youthful contours. Restylane® Silk has many of the same properties of Restylane and Restylane Lyft. It has a relatively high G’ which means it retains its shape but it has a lower viscosity so it can be used to restore lip definition and shape. Since it is a smoother product, it is not associated with as much fullness or volume restoration as Restylane. It can be used to smooth away fine lip (smoker’s) lines and improve lip definition. It is reported to last several months, but the high muscle activity of the mouth may affect its longevity. Restylane® Lyft was previously known as Perlane. The rebranding of perlane as “Lyft” is appropriate since this formulation is thicker and more viscous, than its sibling due to its unique HA cross linking. It is used for facial augmentation since it retains its shape and fullness better. As we age, gravity drags the skin downward, causing numerous changes. As the skin descends, the cheek bones look lower, the cheeks look hollow and we develop jowls. Restylane Lyft counteracts this by “lifting” the skin of cheeks, restoring volume and fullness to the cheeks and nasolabial areas as well as the jawline. There is a great deal of excitement since Restylane Lyft was FDA approved to help achieve more youthful looking hands. Yes, that’s right, the same filler that Dr. Bev loves to use in the cheek for volume restoration can now be used in the hands. Veins, tendons and bones become more visible in the top of the hands as we age. A single CC, strategically placed beneath the skin can restore a more youthful appearance and help you to feel more confident when handling your daily activities. Restylane® Refyne along with Restylane® Defyne are the newest additions to the Restylane family. They have a long track record of safety and efficacy, having been available in Europe under the name of Emervel for many years. Their siblings, Restylane, Restylane® Silk and Restylane® Lyft once injected smooth the wrinkles and folds, but lack flexibility. Refyne and Defyne were designed using a unique manufacturing process called XpresHAn (pronounced like expression) Technology. XpresHAn Technology customizes the degree of HA crosslinking in each product, determining the size and properties of the gel, improving their flexilbility and support. Restylane ® Refyne is designed to be very flexible and provide subtle support, while Restylane® Defyne is designed to be less flexible. They are both suited for areas with a high degree of movement such as the peri oral area or laugh lines since they restore a more natural appearance during times of facial expression, meaning you don’t look different when you laugh and smile. For more details and to find out if you are a candidate for Restylane, please contact us to schedule a consultation or call our office at 973-524-7124.